It was the greatest war in American history. It was waged in 10,000 places—from Valverde, New Mexico, and Tullahoma, Tennessee, to St. Albans, Vermont, and Fernandina on the Florida coast. More than 3 million Americans fought in it and more than 600,000 men died in it. Not only the immensity of the cataclysm but the new weapons, the new standards of generalship, and the new strategies of destruction—together with the birth of photography—were to make the Civil War an event present ever since in the American consciousness. Thousands of books have been written about it. 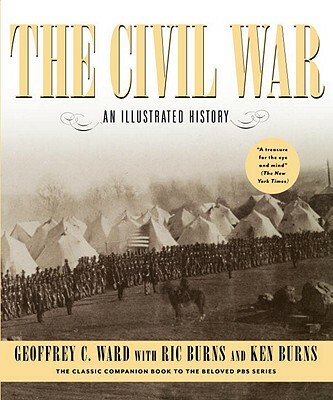 Yet there has never been a history of the Civil War quite like this one. A wealth of documentary illustrations and a narrative alive with original and energetic scholarship combine to present both the grand sweep of events and the minutest of human details. Here are the crucial events of the war: the firing of the first shots at Fort Sumter; the battles of Shiloh, Chancellorsville, and Gettysburg; the siege of Vicksburg; Sherman’s dramatic march to the sea; the surrender at Appomattox. Here are the superb portraits of the key figures: Abraham Lincoln, claiming for the presidency almost autocratic power in order to preserve the Union; the austere Jefferson Davis, whose government disappeared almost before it could be formed; Robert E. Lee and Ulysses S. Grant, seasoned generals of fierce brilliance and reckless determination. Here is the America in which the war was fought: The Civil War is not simply the story of great battles and great generals; it is also an elaborate portrait of the American people—individuals and families, northerners and southerners, soldiers and civilians, slaves and slaveowners, rich and poor, urban and rural—caught up in the turbulence of the times. An additional resonance is provided by four essays, the work of prominent Civil War historians. Don E. Fehrenbacher discusses the causes of the war; Barbara J. Fields writes about emancipation; James M. McPherson looks at the politics of the 1864 election; C. Vann Woodward speculates on how the war has affected the American identity. And Shelby Foote talks to filmmaker Ken Burns about wartime life on the battlefield and at home. A magnificent book. In its visual power, its meticulous research, its textual brilliance, and the humanity of its narrative, The Civil War will stand among the most illuminating and memorable portrayals of the American past. Geoffrey C. Ward is a historian and biographer and the author of seventeen books. He won the National Book Critics Circle Award in 1989 and the Francis Parkman Prize in 1990. He is also the winner of seven Emmys and two Writers Guild of America Awards for his work for public television. He lives in New York City. Ric Burns, founder of Steeplechase Films, produced and co-wrote The Civil War. He is best known for his Emmy and DuPont Award–winning PBS documentary series, New York. He has made many award-winning films for public television, including Coney Island, The Donner Party, The Way West, Ansel Adams, Eugene O’Neill, Andy Warhol, and American Ballet Theatre: A History. Ken Burns’s films include The Roosevelts, The National Parks, The War, Jazz, Baseball, and The Civil War, which was the highest-rated series in the history of American public television. His work has won numerous prizes, including Emmy and Peabody Awards, two Academy Award nominations, and a Lifetime Achievement Emmy Award. He lives in Walpole, New Hampshire.